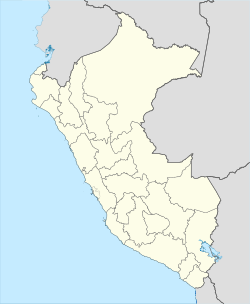 Oxapampa is a town in Peru, on the eastern side of the department of the Pasco Region. A ranching and coffee centre, it was founded by German settlers in the 19th century. Oxapampa belongs to the natural region known as Selva Alta or high jungle. 80 km down the valley is the settlement of Pozuzo (altitude 800 m). In 1853, as living conditions in Central Europe were poor due to wars and famine, baron Damian Freiherr von Schütz-Holzhausen signed a contract with the Peruvian government to send 10,000 colonists to the virgin area of Alto Huallaga. In March 1857 a group of 300 Tyrolean and Prussian settlers, consisting mainly of poor peasant families and couples who weren't allowed to marry in their home countries, boarded the “Norton” to go to Peru. Before starting the journey, the couples were married. After 4 months, the settlers arrived at Callao port in Lima. After two days of quarantine, the settlers took a ship to the port of Huacho, where their belongings were put on mules and men had to continue the journey on foot while women and children were given donkeys to ride on. 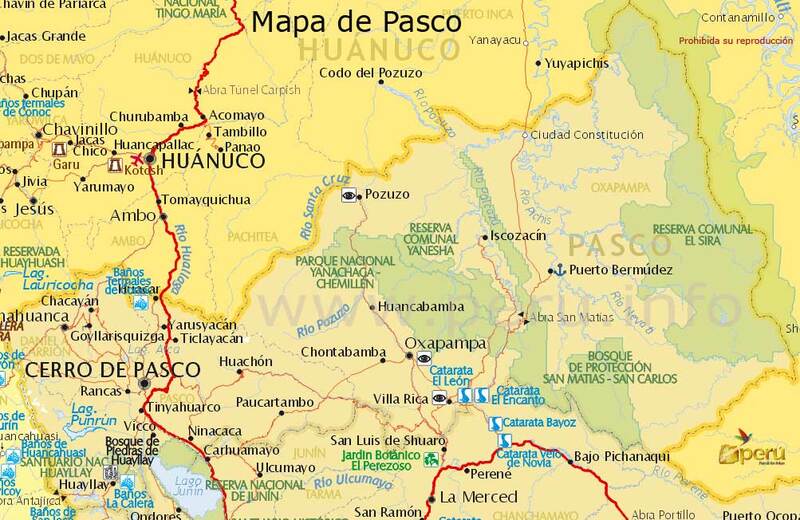 The journey went from Huancho to Cerro de Pasco, Acobamba and Santa Cruz. On the way, some of the settlers left the group. In 1858, the male settlers travelled from Santa Cruz to Pozuzo to partition the lands and sow enough so they would be able to live off their crops once their families arrived. Finally, in 1859 a group of 170 people moved permanently to Pozuzo. In 1891, when things were better, a group of colonists from Pozuzo founded the city of Oxapampa (now the capital of the province of same name) and then the town of Villa Rica (both South of Pozuzo). Pozuzo (not to be confused with the District of Pozuzo) is a small town in a valley with the river Huancabamba which, some kilometres down, changes its name to Pozuzo. Typical houses here are in Tyrolean style in the Peruvian jungle; Kohel and Budweiser houses are the oldest here. Nearby is the Yanachaga-Chemillén National Park at the Canyon of Huancabamba. The area is full of rivers, waterfalls and tropical forest. ^ "Peru - Google Books". books.google.co.uk. Retrieved 2011-02-15. ^ "The Rough Guide to Peru - Google Books". books.google.co.uk. Retrieved 2011-02-15. ^ Dilwyn Jenkins (2009-07-01). The Rough Guide to Peru. Rough Guides Limited. pp. 499–. ISBN 978-1-84836-053-2. Wikivoyage has a travel guide for Oxapampa. Website with general information, maps, hotels, restaurants, commerce etc.